With 13,000 restaurants worldwide and revenues of $2 billion I doubt that Burger King is terribly concerned with the ramblings of the far right Christian News Network. It seems that Christ's own news network is in a snit over Burger King's Proud Whopper. The Proud Whopper comes in a rainbow colored wrapper with the inscription: “We are all the same inside.” It will be sold through today at one Burger King restaurant on San Francisco's Market Street, that was at the heart of the route for last weekend's 44th annual San Francisco Pride Parade. A ‘Gay’ Hamburger? Burger King Selling ‘The Proud Whopper’ to Celebrate Sin. Burger King has come out of the closet in full support of homosexuality, and is now even naming a hamburger to prove just how ‘proud’ it is of the sin. 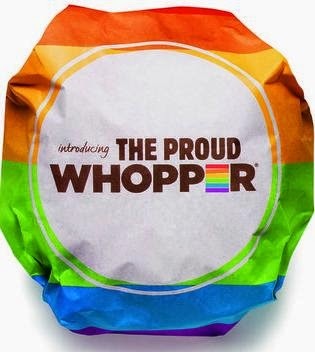 The burger in its colorful packaging will be sold through July 3 at one Burger King restaurant located in San Francisco, a city known for its celebration and promotion of homosexuality and where sexually-transmitted diseases well exceed the national average. What Marcavage doesn't get, indeed what none of these creeps seem to understand, is that diversity and tolerance are good for business. 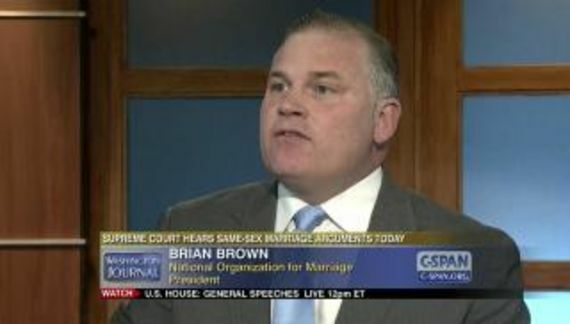 Aside from the fact that being gay friendly attracts customers, it also attracts talented employees at all levels. Marcavage is the guy behind Philadelphia's Repent America operation. According to RA they have "opted" not to become a 501(c)3 tax-exempt organization in order to retain "religious freedom." Bulshit burger anyone?